So our eldest son (5) has the same issue as me and my Dad ~ sunshine makes us sneeze! I even discovered recently that it apparently has a name - Photic sneeze reflex. 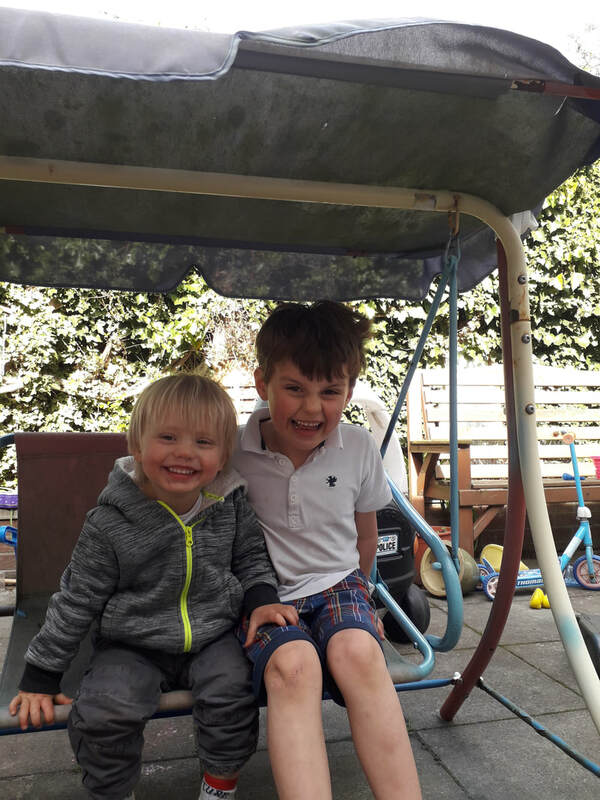 Our youngest (2) has also started what I think will be a long journey of copying whatever his elder brother does - and at the minute that mostly seems to involve making fart noises and dancing. 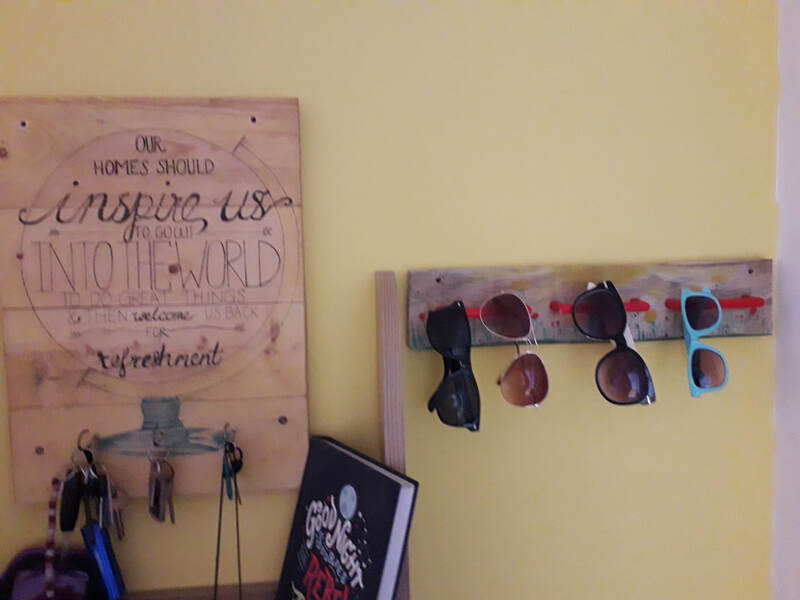 All of this seemingly off topic chat has led to my latest project... a sunglasses holder. I seem to spend 15 minutes before every trip hunting for glasses so that everyone has a pair. They need to live somewhere. I then decided to brighten it up a bit with some paint, acrylic is my usual favourite for projects on wood. 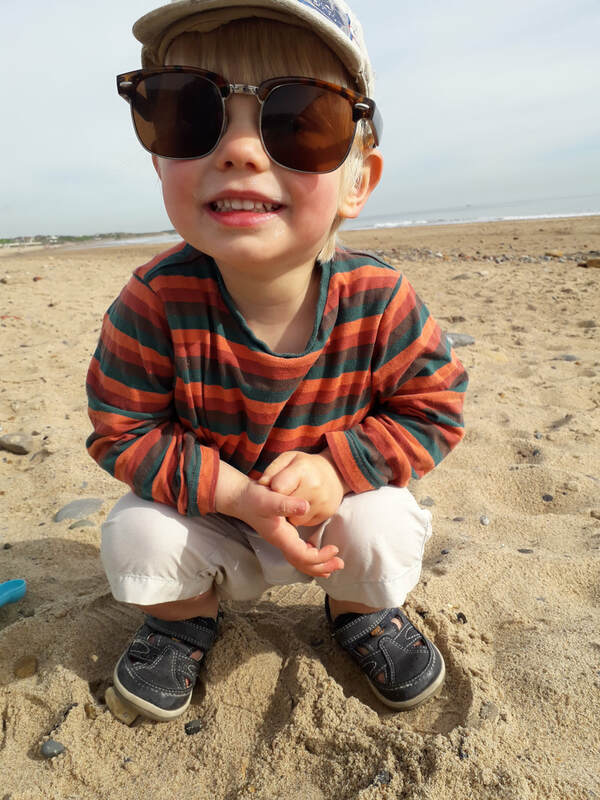 This is already proving handy and now I just need to find all the kids pairs of sunglasses... wherever they've hidden them. A New Project for Summer.. So I've started sorting out the yard in time for another glorious (!) Summer in the North-East. 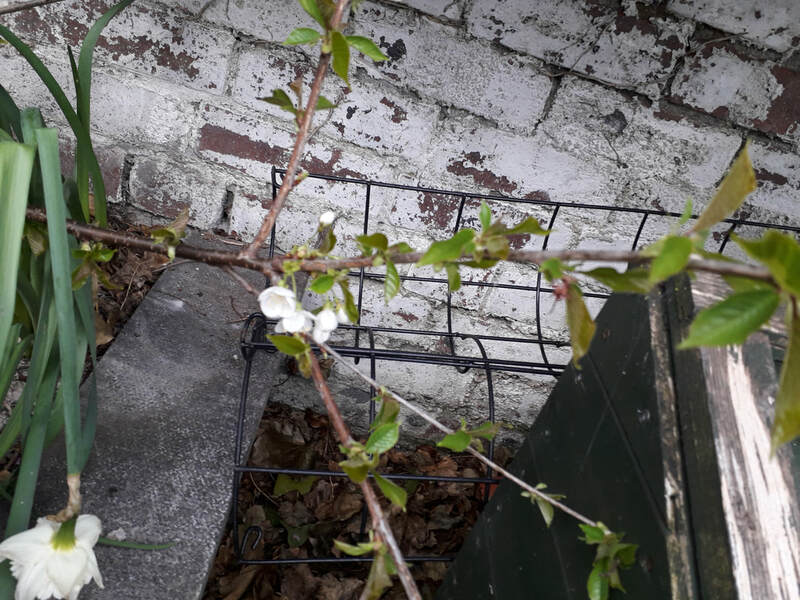 We've planted some veggies and I've discovered that my husbands habit of chucking apples in the garden has led to a small apple tree! 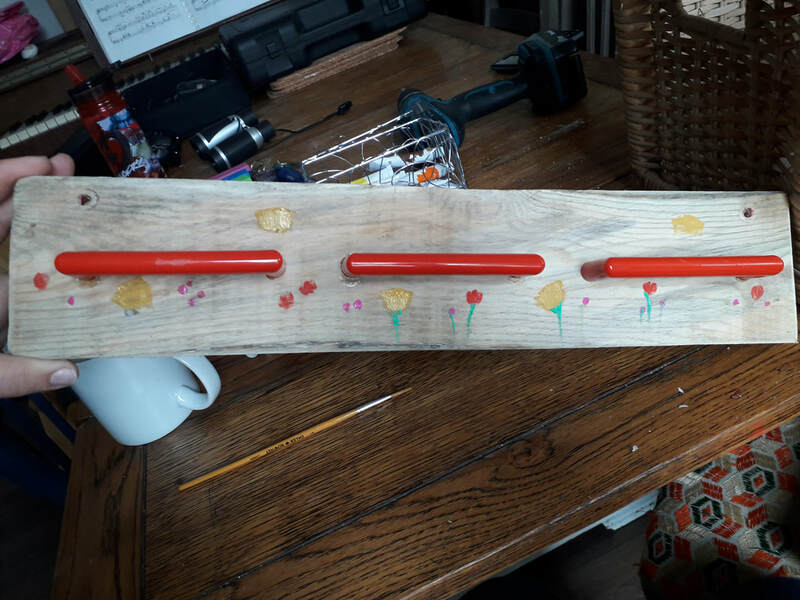 The kids are still enjoying the mud kitchen I made last year - but I like to try and add something new! I've been lucky enough to be given this swing set that was going to be thrown out. 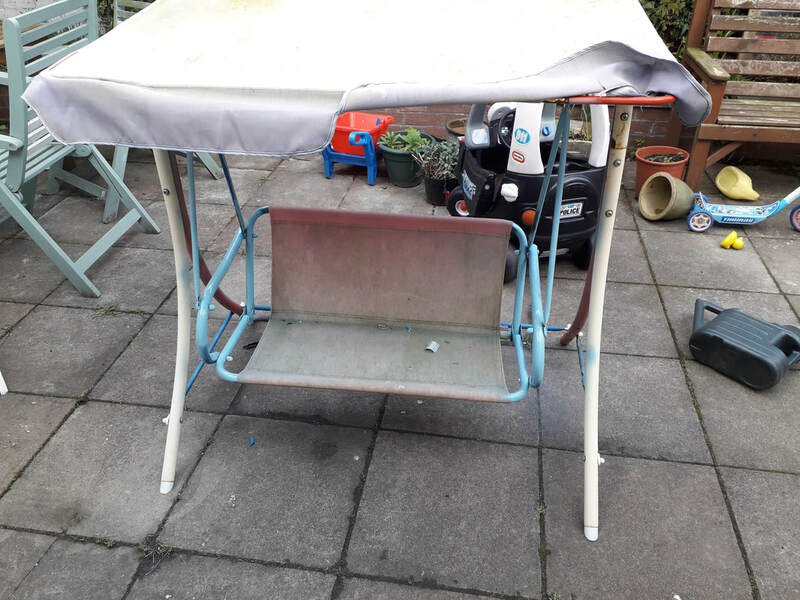 It's been outside for a while so its pretty rusty and the fabric all needs replacing. I'll be working on this for the next few weeks I think - but the boys are already pretty excited! I'll have to get started quickly... filing and sanding first followed by spray painting. The Gallery is stocking Messyroo! I walked past The Gallery at Papercuts today and saw they've got some of my signs out the front! Very exciting . Its a fab little shop where i buy some cardmaking supplies from, so delighted to be selling there now too! 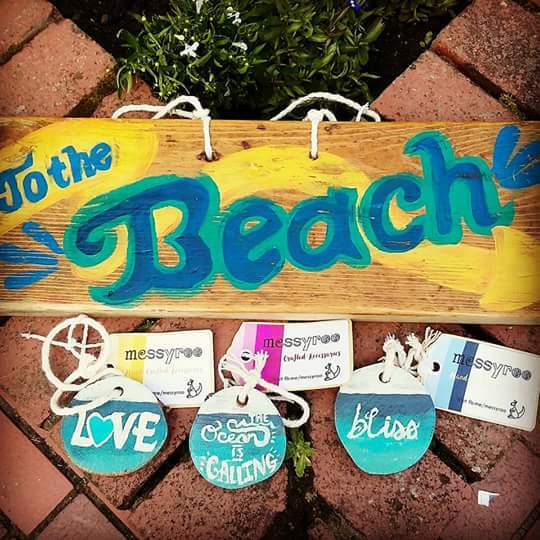 There's some great artwork and gifts made locally stocked - check it out! 20 Degree heat and Christmas Elf hats! No, really. It may have been baking for the North East outside today but whilst watching Wales* (come on!!) 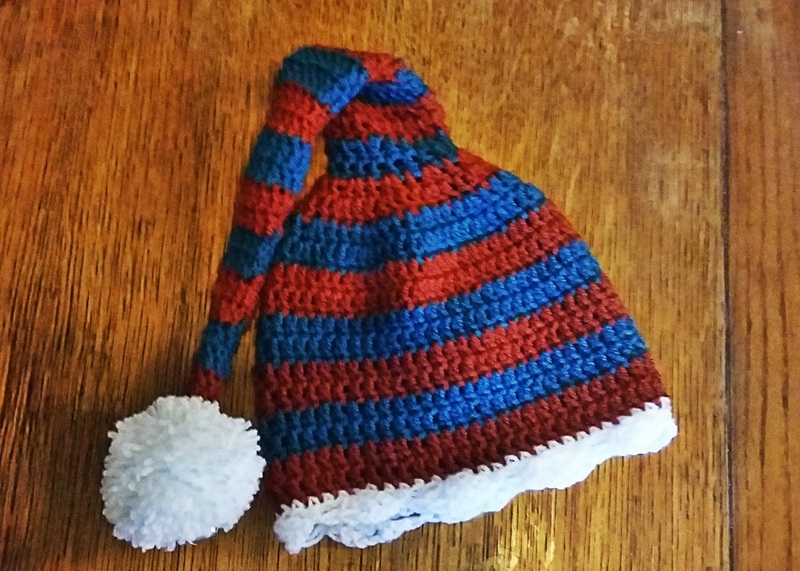 In the Semi Finals, i have finished the first of what I'm sure will be many Christmas hats. I merged together two different patterns to complete this. 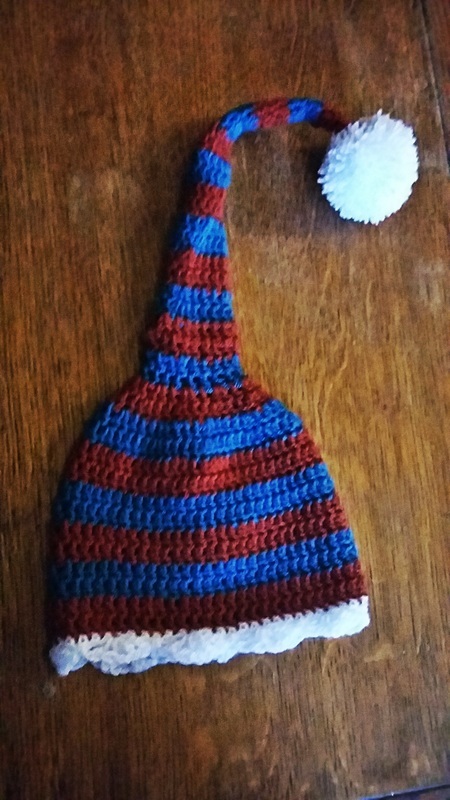 The main body of the hat was from Repeatcrafterme (http://www.repeatcrafterme.com/2015/11/crochet-elf-hat-pattern.html), but I used two colours in a stripe and finished the hat with a lovely edge taken from a pattern on bhooked.com (http://www.bhookedcrochet.com/2014/12/05/crochet-elf-hats-entire-family). I also added a bell so you can hear your kids coming and run... and because it's hugely entertaining for the baby! ​Im really pleased with the result - i don't suppose there's higher praise than my 3 year old insisting he and the baby get matching ones for Christmas. He will regret that choice when the photos come out at his 18th birthday. *As I finish this post, it is 2-0 to Portugal. Still time for a comeback! 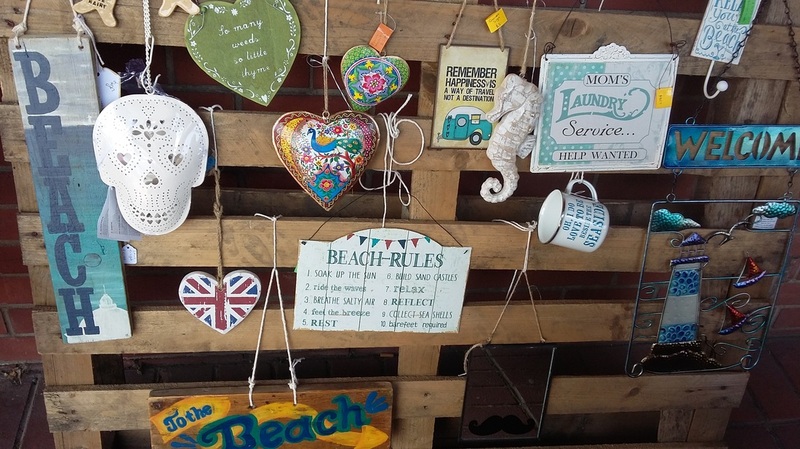 ​I then popped some of my recently finished signs into the Papercuts Gallery in Whitley Bay (awesome place with some fabulous pieces - pop in and have a look!) and saw their Christmas in July collection. Now I've started a Christmas elf hat inspired by it (OH is very unimpressed. I'm bad enough about Christmas in November, he said he could do without it starting even earlier!). 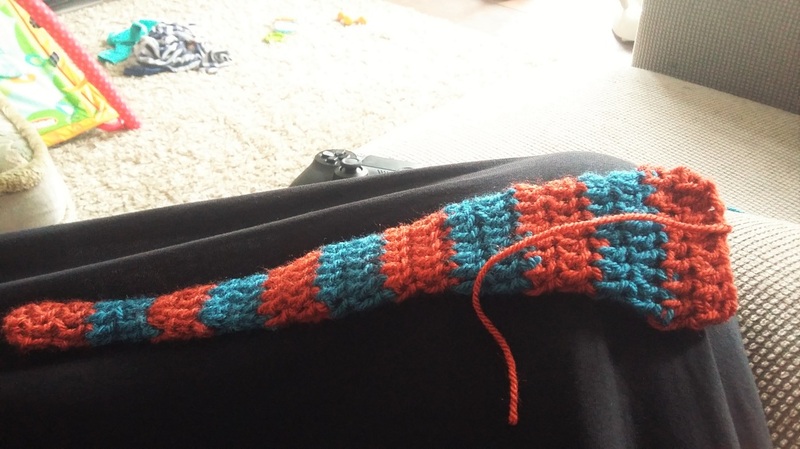 I'm currently trying out some different animals (made from my basic hat design) and flicking through some old family photos remembered how much my 3 year old was enamored by the Giraffes at Chester Zoo. A quick trip to grab some yellow wool (left over monkey would do for the spots!) and some research into ears and horns found this great pattern from 'Repeat Crafter Me'. 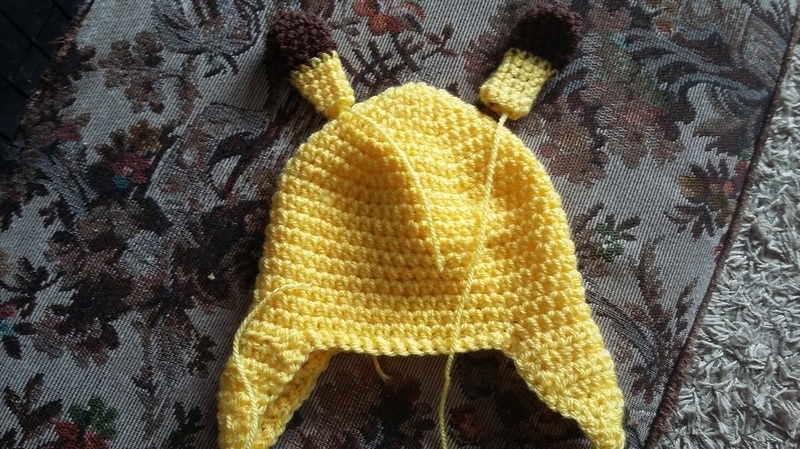 I love the face on this hat, but none of my hats have faces (I'm not sure why!) so mine will be slightly different! I'm hoping to get it finished this afternoon, but there's no football on so I may have to talk to my husband :-).